Multi-functional and space-saving, the twin sized daybed can be a perfect center piece for a child’s or guest bedroom. Those that include a trundle bed allow you to tuck away another twin bed for sleepovers. Used as a sitting space during the day and a sleeping quarters at night, they serve as a great utility for your bedroom furniture. Attention Crab Lovers (Daybed) - Coastal Cottage CollectionThis Crab Daybed from Pacif..
Delightful Fish Daybed - Coastal Cottage CollectionThis Fish Daybed from Pacific Home ..
All Aboard....Paddle Daybed - Coastal Cottage CollectionPacific Home Furniture’s Padd.. 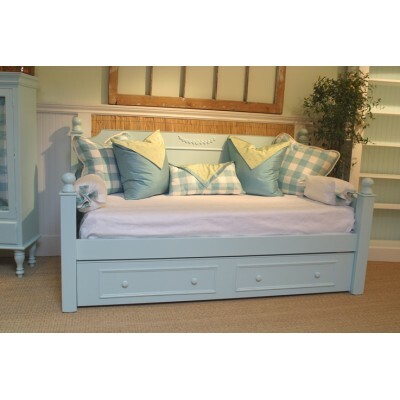 The "Pelican" Daybed - Coastal Cottage CollectionPacific Home Furniture’s P..
Plantation All The Way - Coastal Cottage CollectionThis Plantation Daybed from Pacific..
Coastal Chic Daybed - Coastal Cottage CollectionThis Scroll Side Daybed from Pacific Home F..